MMmmm…! I love strawberries, but sadly, strawberry season is always so very short. I hope you take full advantage of this delicious treat from nature! 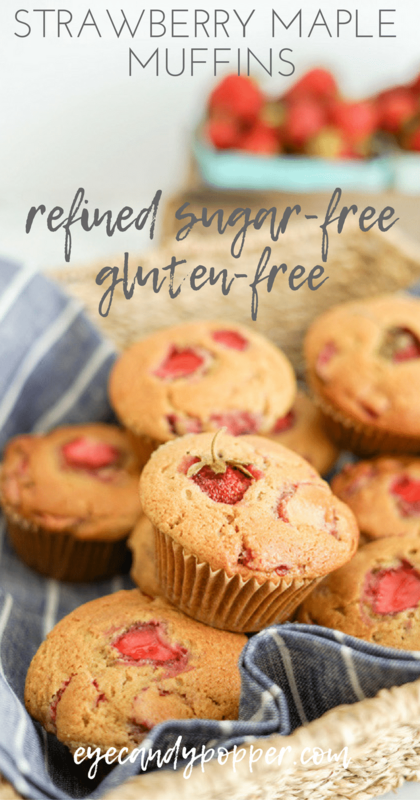 I decided to make these simple yet full of flavour Strawberry Maple Muffins, without any cane sugar, dairy-free, and with the option of using gluten-free flours (I tried both versions of flours, they are delicious!). Local, in-season strawberries taste nothing like the commercial kind you find in the stores year round, and buying organic ones is always important to limit your exposure to chemicals, since that fruit is one of the most heavily sprayed with pesticides and other chemicals. So, what can we make with these delicious local strawberries? 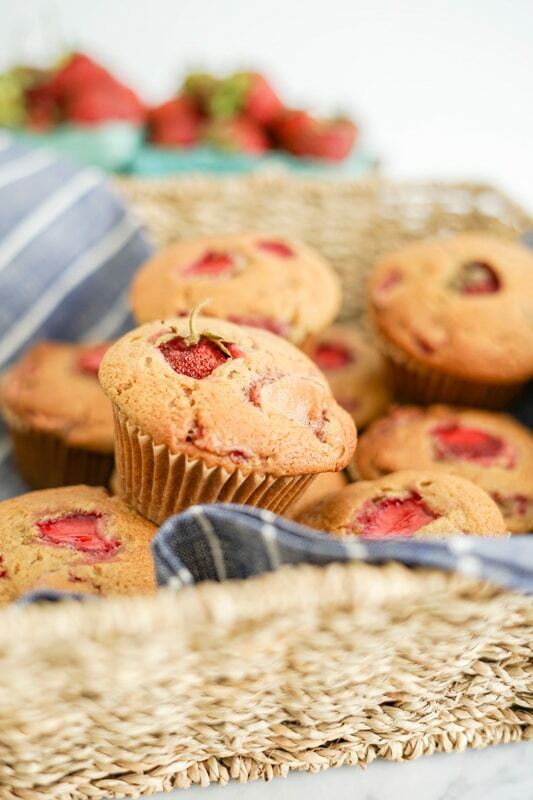 You can make pies, preserves and jams, cakes and of course, these delicious muffins. Inspired by an old Martha Stewart recipe that was called “healthy”, I made these muffins much healthier by changing and adjusting ingredients, like using wholegrain flours, flours that contain less gluten or flours that naturally contain no gluten at all, and substituting sugar with maple syrup. Yum yum! And who says a muffin has to be just for breakfast or snacks? These little beauties are so tasty, especially right out of the oven, that they make great mini-cakes to serve for dessert, using some fresh organic strawberries, a scoop of freshly whipped organic cream (with vanilla and a touch of maple syrup) and a big spoonful of homemade strawberry and rhubarb preserves. A delicious and healthy muffin without any refined sugar. Can be made with multigrain flours or gluten-free flours. 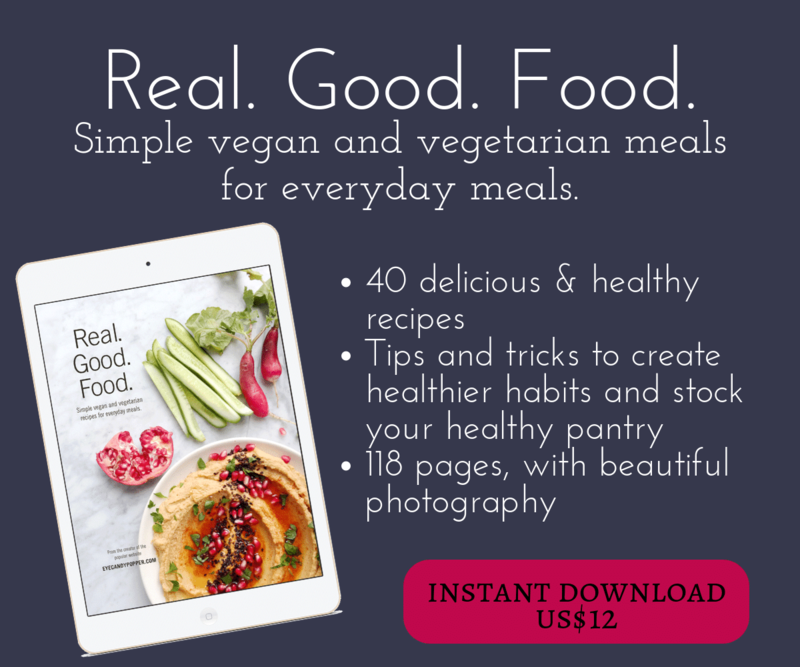 Dairy-free with a vegan option! Wash, trim the stem and slice the strawberries. Preheat oven to 375 F. Line a standard 12-cup muffin tin with paper liners. In a large mixing bowl, whisk together the dry ingredients (flours, baking powder, salt, and cinnamon). In a medium bowl, whisk the wet ingredients together (eggs, then mix in the oil, maple syrup, milk, and vanilla + apple cider vinegar for GF option). Make a well in the center of the flour mixture and pour the liquid mixture while mixing (I use a whisk). Add the sliced strawberries. Fold with a large rubber spatula until just combined. Using a large spoon, divide the batter in the muffin cups. Bake until nicely golden on top, or a toothpick inserted in the center of a muffin comes out clean, about 25-30 minutes. Cool a few minutes in the pan, then transfer muffins to a wire rack to cool completely. Because of the fruit content, these muffins will not keep for long, so make sure you eat them within a few days and keep them in the fridge. These look amazing, Gabby. With our local organic strawberries making appearances at the farmer’s markets, it is a very timely recipe. 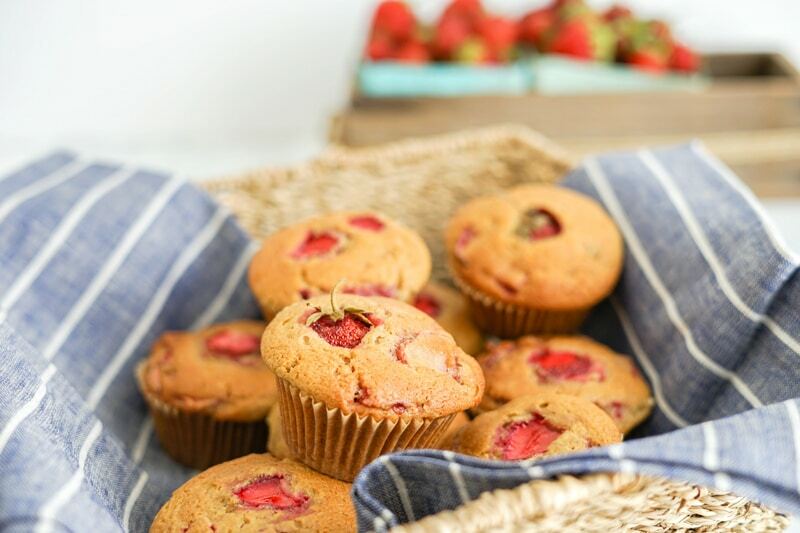 Thank you for this healthy strawberry muffin recipe. I am with you on buying organic. 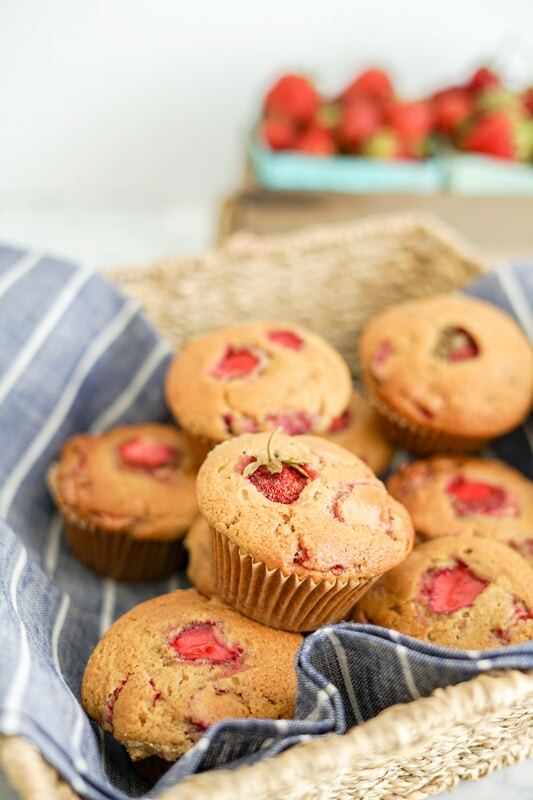 It’s sad but true that so much of our food is laden with chemicals 🙁 Strawberry and Maple are two flavours I have never thought to put together, but these muffins look delicious! Strawberry season has been a bit of a letdown here thanks to our rather wet and blah spring, but the small number of berries we’ve had are STILL spectacular. Honestly, putting aside any issues related to spraying, the flavour alone makes it worth seeking out local fruit. We went picking berries with our kids for the first time this year (on the hottest day of the year so far…) which was a really nice way to connect them to their food even further. Perhaps we should whip up a batch of these muffins all together too to keep that wonderful connection going! Cheers! 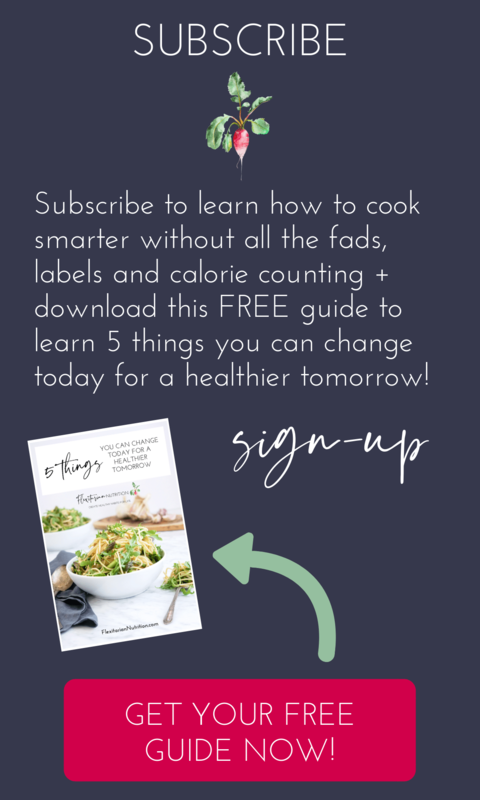 I love everything about this recipe and the way you’ve provided options, too. My strawberry patch is producing like crazy this year, so these will be in the oven soon! These are great especially when they are fresh out of the oven! So glad to hear you’re enjoying them! What a beautiful summertime treat! I love when recipes are made healthier, and I like to enjoy strawberries in as many forms as possible while we can. These muffins look beautiful. What a great way to use summer strawberries. I like that they’re low in sugar too! Thanks Megan! They are delicious! We’ve been buying strawberries from our local farmers market for a few weeks now, and they taste amazing! I’ve been baking a lot with them or using them in smoothies. I love these muffins, sweetened with maple syrup, my favorite sweetener together with honey and coconut sugar. They look so pretty and I agree, perfect also for dessert. Love the simple, high quality ingredients you’ve used here, Gabby! I also love that you give us options when it comes to baking — I will absolutely be trying the gluten free version of these. I’m not sure why (there’s a heatwave in southern Alberta at the moment) but I really feel like baking. Thanks for another beautiful recipe! It’s nice to have options 🙂 and I tried them both, they are beautiful and delicious either way! Happy baking! This isn’t the original recipe right? You changed it up a bit… any reason?